A human rights activist, Mrs. Aisha Wakil, has said that the abducted Dapchi schoolgirls are safe with Habib, whom she called her son, and his friends; and that Nigerians have nothing to fear concerning the overall well being of the pupils. 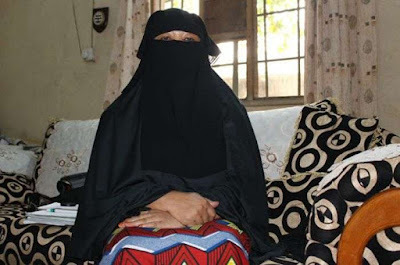 Wakil, also fondly called Mama Boko Haram, revealed that a faction of Boko Haram had contacted her, confirming to her that it had the 110 schoolgirls who were abducted on February 19, 2018. Wakil was a member of the Dialogue and Peaceful Resolution of Security Challenges Committee in the northern region, set up during the President Goodluck Jonathan era. In an interview with the News Agency of Nigeria, the activist said the Barnawi faction of Boko Haram contacted her on Thursday. She added that the abductors confirmed to her that the girls were safe, healthy and in good condition. Speaking with PRNigeria earlier this week, Wakil had called on the abductors to release the girls to enable them to be reunited with their families. Wakil, who is said to have communication links with Boko Haram and respected by some leaders of the sect, declared that she was ready to sacrifice her life to rescue the girls. Wakil said: “They are even the ones that called me, and said ‘Mama, we heard what you have said;’ and told me that they are with the girls and they are going to release them. “I begged of them and said ‘please, let this not be another 1,000-plus days of Chibok girls,’ and they laughed and said no. NAN reports that Wakil had, at various times, participated and played key roles in negotiations between the military authorities and Boko Haram insurgents’ commanders, which facilitated the release of numerous abductees from terrorists’ captivity. In a statement today, the Federal Government announced it has stepped up the search for the 110 girls to the neighbouring countries. The Minister of Information and Culture, Lai Mohammed, said top military and security officials on Thursday travelled to the North-east to add more urgency to the search, which has now been extended beyond the North-east theatre.